All Shelves are made of 20 Gauge AISI 304 with matte finish surface. Legs are made of ASIS 304 3816-Gauge Round Pipe. All Shelves are TIG Welded with Round Pipe. Rack can be mounted on 4nos. Castor Trolley Wheels to allow mobility. 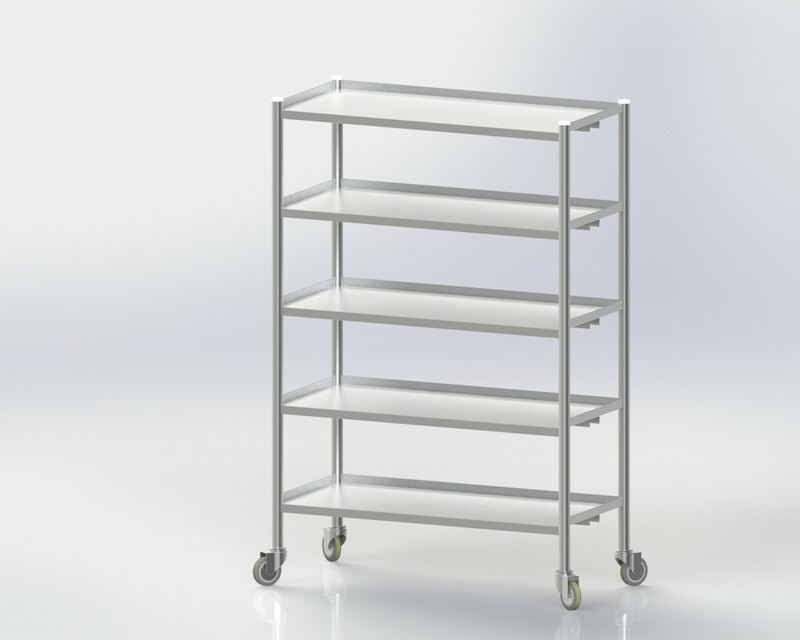 All Shelves are having C Channel Stiffner through to accommodate maximum load bearing ability.